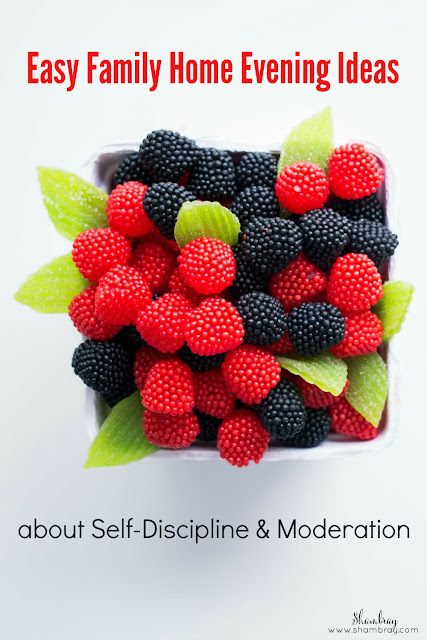 Teaching my girls how to have self-discipline and to have moderation in all things is next to impossible? Kids want it all and they want it right now. At least that is how my girls are. I hope I'm not entirely alone. Even though these are some of the hardest values to teach my girls, at least that is how I'm currently feeling, I still wanted to make sure my Monday nights were geared towards teaching these two values. I started looking for easy family home evening ideas on self-discipline and moderation. This was not easy.. I honestly couldn't believe how hard it was to find some ideas that I could use. I want to share with you my findings. However, I don't want you to be too critical. You will have to think differently to make these work. Not just that, but some of these links I am sharing won't be an actual lesson plans, but will be great things to teach your kids. You might want to prepare a bit beforehand to see what exactly you want to teach and how you want to go about doing that. Think about what your family needs to hear right now and make a lesson plan around that. Like I mentioned above, have an open mind. Also, the "Teaching Kids Money Sense" is the one that you will want to look through the post and see what things you want to teach your kids beforehand. 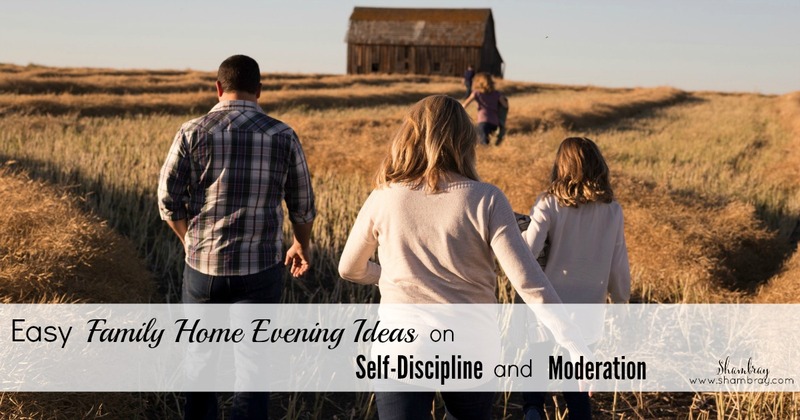 They are all wonderful ideas, but tailor it to your family's needs.